The home we built for the 2014 Parade of Homes featured a large covered porch with an outdoor dining area, but one feature a lot of people commented on was the fire pit. Check out the photo below, taken right after we turned it on for the first time. 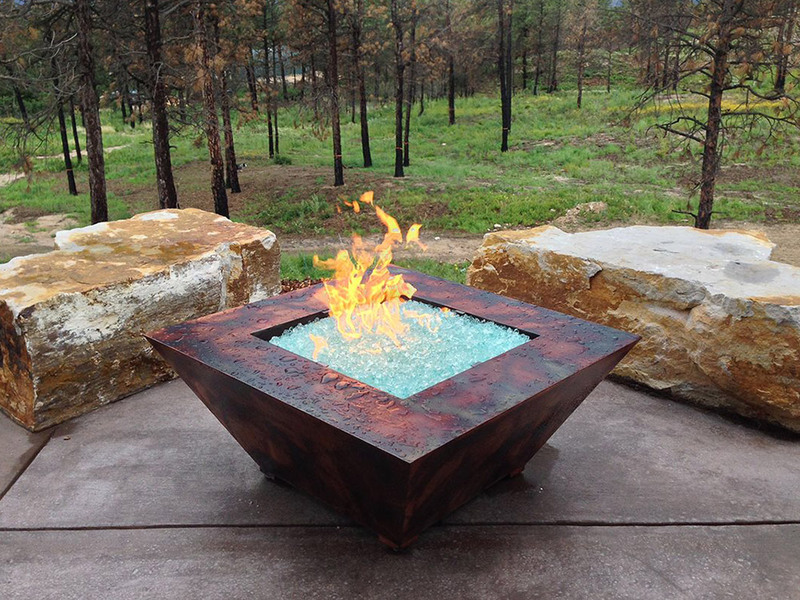 This fire pit was manufactured by Oios Metals, which is a company in Denver that makes all kind of metal products, including the bathroom vanity inside the home. For more photos of this home, click here to see a photo gallery. This home won the 2014 “Best Landscaping” award, for the outdoor living space, and we’re proud of how it turned out.